Our corporate leadership team, led by President/CEO Michael Babcock at Xtreme Healthy Lifestyles, is an essential part of who we are today. These long-standing relationships were forged over many years of working side-by-side with the best leadership in the industry always focused towards one collaborative goal. Collectively, this dedication formed our current executive leadership team. 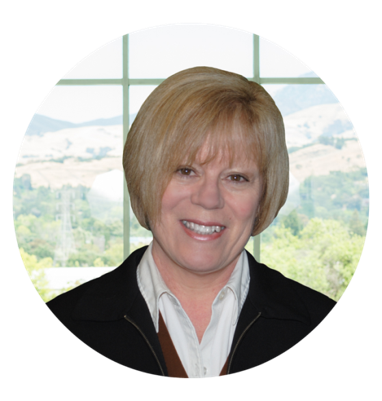 In addition to our Executive Team we have partnered up with his long-time friend and business associate, “World-Renowned Scientist” Dr. Ann de Wees Allen. Dr. Allen leads the industry with her cutting-edge science that has created an amazing line of innovative, healthy products which help people burn fat, through a simplistic delivery process of doing things we do every day like drinking coffee and tea. We are also launching a complete line of anti-aging and sports performance beverages to get you on your way to living an Xtreme healthy lifestyle. Relentless Pursuit of Excellence: To always encourage and deliver the best of ourselves and our partners. 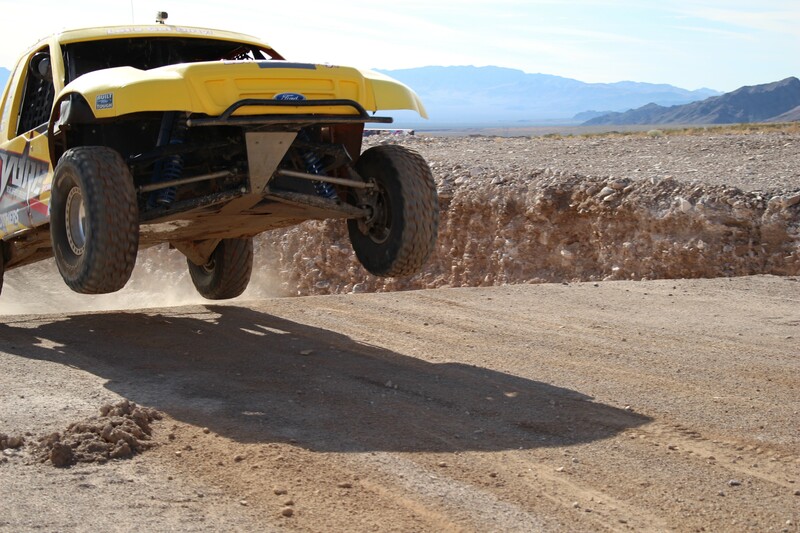 Unbound Tenacity and Drive: To get the job done right and on time, no matter the challenge. Courage for Innovative Thought and Creativity: To discover unique cutting-edge science, out-of-the-box thinking, always exploring new ideas and concepts. Commitment to Integrity: To never compromise our quality of service, ethical standards and always lead with trustworthy behavior and decisions. Behind every successful entrepreneur is a humble beginning, raw passion for building something great out of nothing, and a relentless drive to push beyond the challenging moments to turn a dream into reality. Destined to be his own boss, early on in his life Michael Babcock embodied the entrepreneurial spirit. 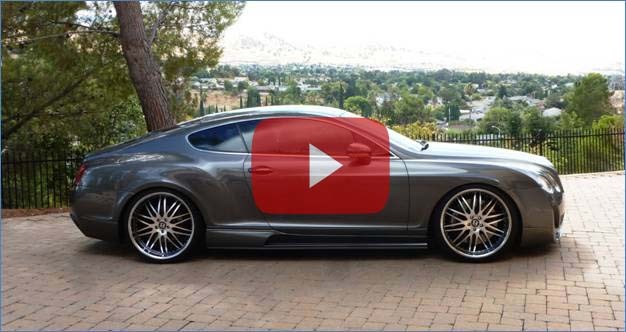 Inspired by the engineering, beauty, and sleek lines of sports cars, Michael saw an opportunity to become a business owner. 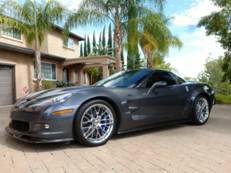 As President/CEO of Anywhere Automotive, he has spent 30 years building a successful shop and career as an ASE certified master technician, overseeing the day-to-day business negotiations, marketing to new clients, tracking inventory, and managing employees while increasing sales to over $500,000 in annual income. As a true entrepreneur, Michael has always been open to new technologies and opportunities. It is not surprising that as he continued to see his automotive company succeed, he also found the passion and drive to explore a lucrative opportunity in the telecommunications industry with a company called ACN. It was here that he learned and polished his skills in generating business, closing sales, public speaking, negotiating, managing and training. It wasn’t long after he started that he became the #1 top producer in the company and was promoted to Regional Vice President. ACN was one of the fastest growing, privately held companies in the U.S. at that time where Michael was responsible for training over 6,000 people, capturing 85,000 customers and earning $18 million in revenue for the company in less than 24 months. He was also responsible for managing and developing people to grow new markets in the U.S. and Canada, working on presentations, speaking engagements and coordinating business/sales event. In his next venture, as Co-Founder/Vice President and Director of Marketing/Sales of Boresha International, Michael further added to his already impressive success record and expert skill set. 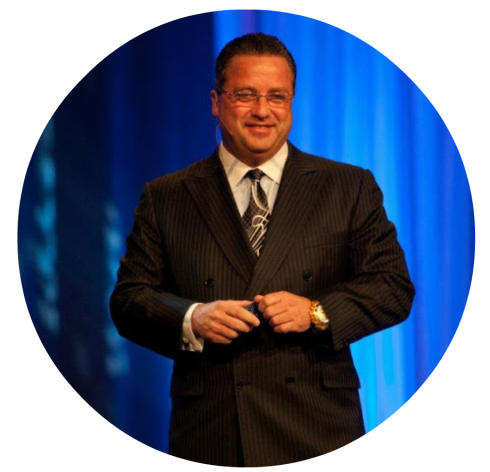 With his strong leadership skills and training experience, he developed and managed the company’s sales training program and field representatives, building a massive distributor force of over 44,000 distributors throughout the U.S. that brought in little over $22 million in gross sales in 2012, topping the company’s six-year sales to over $60 million in gross revenue. Though limited in his experience and academic background in writing contracts, Michael helped write and design the front and back end of Boresha’s Compensation Plan. He developed the websites, wrote programs, launched product, and managed multiple teams of 10-100 people. He also helped train, develop, and managed over 40,000 sales people. True to his nature, Michael brought a unique combination of vision, experience, passion, multi-tasking, and dedication to all aspects of the business, making him instrumental in Boresha International’s fast-paced market penetration and growth. A life of an entrepreneur never stays idle for too long. Michael decided to take his 30 years’ of experience and build a company that focuses on people just like himself. A company dedicated to helping other visionaries and entrepreneurs to achieve their dreams. As President/CEO of Innovative Business Investment Solutions, the corporate team is outstanding and highly experienced for fast-paced market penetration and works exclusively with small business clients to develop a concrete, practical, short-term action plan that will start moving their businesses in the right direction. The objective is to support the desire of the new small business owners’ need for the right leadership, management and marketing team with the set skills to have laser focus that will give the competitive edge into the right market with target-paced market penetration to achieve their financial goals. Michael is continually looking at new projects, ideas, innovative cutting-edge science and technology of the 21st century to bring to market. He works with some of the most dynamic people, venture capitalists and private equity firms in the country. Xtreme Healthy Lifestyles is launching into the fastest growing industry in the world, the health and wellness industry. Xtreme Healthy Lifestyles will address the $64 billion weight-loss industry with direct-to-consumer sales. “Instead of brick and mortar, its click and order”. Mr. Babcock is partnering with his long-time business associate, “world-renowned scientist” Dr. Ann de Wees Allen. Michael already has an incredible track record working with Dr. Allen which began in 2007. This previous company that Michael co-owned and co-founded literally began on his dining room table and brought in over $60 million in gross sales with over 80,000 established customers throughout the U.S. This is the origination place where Michael first met Dr. Ann de Wees Allen and set in stone there long-time business relationship and friendship. Because of Michael’s proven track record and past success, Dr. Allen has signed a 25-year license agreement to carry and market her complete extraordinary line of health and wellness products. “The Two most Important Days in Your Life…. “Remember the Goal isn’t to Live forever, the Goal is to Create Something that Will”. Here at Xtreme Healthy lifestyles we are committed to helping you live a complete healthy life so you can always look and feel you best. Healthy living begins with you. We are committed to bringing you the latest in advanced innovative science that holds the key to many of life’s mysteries. Our initiative is to bring knowledge and awareness so you can make a well-informed decision on the most current nutritional science breakthroughs, backed by 30 years of clinical trials and scientific research studies. Our Medical Advisory Team is consistently raising the bar by staying on the cutting edge to deliver an incredible line of products with real solutions for real people, to achieve real results. Dr. Allen is a leading Clinical & Medical Researcher, conducting cutting edge research in the fields of the Glycemic Index, Brain Glycemic Indexing™, Neural Nutrition, Switch the Brain, Switch the Game™, Thermogenesis, Obesity, Childhood Obesity, Key Codes to Adipose Tissue Fat Cells, Sickle Cell Disease, Metabolic Medicine, Growth Hormone, Anti-Aging, L-Arginine, Human Sports Performance, and Food Addictions. As Chief of Biomedical Research at the GLYCEMIC RESEARCH INSTITUTE®, Dr. Allen heads the only Glycemic Research U.S. government Certification program in the Nation, conducting 30 years of Human In Vivo Clinical Trials for the largest food companies in the world (Glycemic.com). The Glycemic Research Institute® is certified by the United States government, the Canadian government, and the United Kingdom governments to conduct Glycemic Research, Diabetic Research, Obesity Research, and FDA Claim substantiation for foods, beverages, Nutraceuticals, and Pharmaceuticals. Dr. Allen received the first Glycemic Patent ever awarded worldwide, the first and only Low Glycemic Fat-Burning Coffee & Tea Patent, and the discovery and Patents for safe L-Arginine, and Blind Amino Acids. Sickle Cell Patents (USPTO.gov). Dr. Allen was named the World’s Leading L-Arginine Researcher by the Sickle Cell Anaemia Organization, and addressed the United Nations General Assembly on the topic of her research in the field of L-Arginine and Sickle Cell polymorphisms. Dr. Allen’s Patents & Technology have generated over a $1 Billion dollars globally, and she is considered one of the most successful scientists in the world. 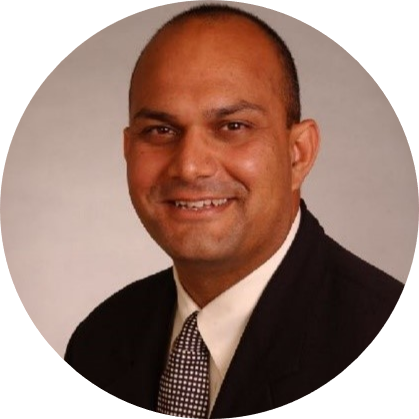 Dr Sanjeev Sharma has Joined our Xtreme Healthy Lifestyles Medical Advisory Board Team of Champions. For the past 30 years, Dr. Sharma, as a practicing physician has been involved in patient care, medical education, clinical research, and medical management. As a Board-certified Cardiothoracic Surgeon, eight years ago Dr. Sharma changed focus to alternative health. Since then he has educated and treated nearly 35,000 patients in the cannabis realm through clinics in Washington, Oregon, and California to become one of the most documented doctors if the field. Dr. Sanjeev Sharma’s story is the American Dream. In 1972, when he was six years old, his family came to America, with his father Desh Sharma that was the first one in his family to attend college and postgraduate education. The journey took 1 ½ years and his father literally came to America with a dream and $12 to his name. Destin for success, even as a child Dr. Sanjeev Sharma was encouraged to pursue engineering or medicine and since he excelled in academics, he began college at the age of 16 as a Regent’s Scholar. During medical school, as a third-year student, he found his calling as a cardiothoracic surgeon during his rotation with the Department of Cardiothoracic Surgery, at the University of Arizona. At the time, that department was leading the nation in artificial heart transplant and organ transplantation. 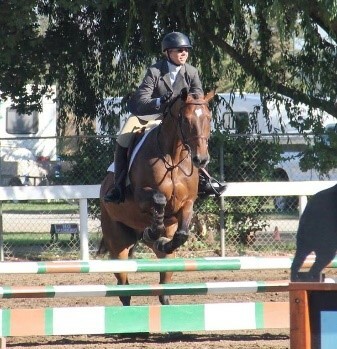 Over nine years, he pursued his dreams at Oregon Health Sciences University and fulfilled his graduate medical education in General Surgery and Cardiothoracic Surgery. During ten years from 2000-2010, Dr. Sharma directed programs at University of Arizona, Case Western Reserve University, and finally for Providence Health System in Oregon. However, medicine had changed over the past twenty years, patients were unfortunately now viewed by administrators as cost centers and not people. Dr. Sharma has always viewed patients holistically and been open to alternative health. In 2011, Dr. Sharma decided to look into how medical cannabis was helping patients with pain, seizures, and other ailments. Over the next eight years, after seeing nearly 35,000 patients in clinics throughout Washington, Oregon and California, he developed a proprietary database of the specific cannabinoid strains that aid 100 different ailments. Since 2017, he has worked to develop hemp based phytocannabinoid and terpene blends to help people with common ailments such as chronic pain, insomnia, anxiety, women’s health, weight loss, and gastrointestinal issues. The cannabinoid industry is just beginning. I am so excited to be part of this amazing company that is consistently raising the bar by staying on the cutting edge to deliver an incredible line of products with real solutions for real people, to achieve real results. We will help provide customers with reliable and effective products, education and direct access to physician-based information. 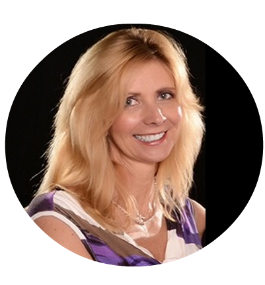 Dr. Laurie Bulkeley DVM has joined our Xtreme Healthy Lifestyles Medical Advisory Board Team. 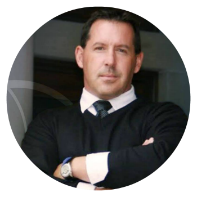 Dr. Bulkeley brings an extensive background to Xtreme Healthy Lifestyles core company’s mission statement of living a complete Healthy Lifestyle. As a State Board Certified Veterinarian, Dr. Laurie Bulkeley brings a comprehensive approach to health and wellness in the human and animal medical community. 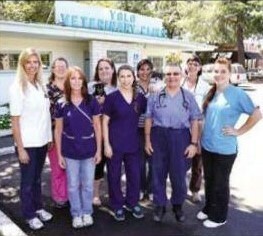 Dr. Bulkeley is the Chief Veterinarian and Surgeon at Yolo Veterinary Clinic. She practices medicine full time as well as managing a team of Veterinarians and Technicians, and has run a multi-million-dollar business for over 20 years. In this role, she has provided medical advice and training in health and wellness as well as disease prevention and treatment for the staff, veterinary students and technicians propelling her hospital to one of the most successful in the area. Prior to working in this endeavor, Dr. Bulkeley worked for 9 years at Arcadia Small Animal Hospital, a referral medical and surgical facility. Here she was the primary consultant and referral doctor for all the internal medicine, oncology, cardiology, dentistry and ultrasound referrals in the area. 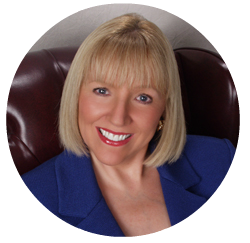 Dr. Bulkeley completed her undergraduate degrees with honors at University of Nevada in Reno. She has a B.S. degree in Cellular and Developmental Biology with graduate work in Genetics. She also concurrently earned a B.S. 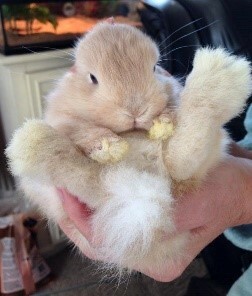 in Veterinary Medicine. Her graduate work was done at Colorado State University where she received her Doctorate of Veterinary Medicine with honors. After completion of Veterinary school, she worked at CSU in the Oncology department researching and developing a novel Veterinary diet for the support and treatment of cancer, which has been successfully developed into a commercial dog food. 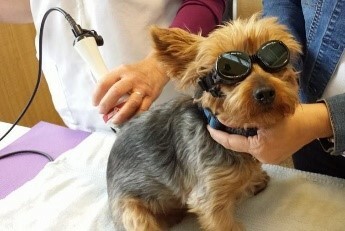 Dr. Bulkeley has also earned her certification in Veterinary Medical Acupuncture and Laser Therapy which she practices on both horses and small animals. Jeff Krushell is highly regarded as a noted expert in the area of talent development in sports and through his work has gained unique insights into the process of improving performance… "It’s a human thing". 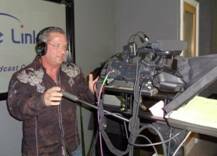 Jeff is an accomplished entrepreneur in radio, television and in print where he has forged relationships with not just athletes but internationally renowned sport elitists, coaches, sport scientists, doctors, business specialist and researchers, all of who are constantly pushing the boundaries of human performance. Over the last 20 years Jeff has worked in the world of high performance sports helping athletes tap into their potential to truly understand what it is like to achieve Human Maximum Performance. Engineering his unique blend of sport science and training techniques with the holy grail of success; "motivation", Jeff’s expertise lies in creating the next generation of top performers. “In the early 1970’s Karlton and his clubfoot outgrew leg braces only to become a sickly, scrawny, last picked, bench-riding kid. His athletic ambition and desire to be a champion were met with absentee athleticism. Despite his childhood struggles and adult driving history of totaling three vehicles before his 33rd birthday, he persevered to become a champion athlete, fitness model and international fitness authority. He “cut his teeth” as the 1st fitness instructor for Sailors preparing for direct support to the Navy SEALs Special Warfare Combatant-Craft Crewmen Program in 1994 and continued his contribution to the Navy’s Remedial Fitness Enhancement Program where he created an average 90% success rate for participating Sailors. As a global competitor he began using the Tri-Matrix MD Formula in 1996 and emerged as a 2002 Light Heavyweight Body Building Champion in Sicily after being honored as the 2001 Male Athlete of the Year (AOY) Nominee. Billy Blanks was on hand to present the award at the AOY ceremony in Rota Spain. He went on in 2007 to be a top 10 finisher in his Strongman Competition debut. As One of America’s Top Fitness Professionals, his credential include a congratulatory appreciation letter from Governor Arnold Schwarzenegger, endorsements from the Department of the Navy & United States Special Operations Command. Consistently sought for his professional acumen, Karlton was invited as a delegate on three international People to People Citizen Ambassador Programs: Sports Medicine Delegation to China in 2009, Sports Medicine Delegation to India in 2010 & Exercise is Medicine Delegation to Russia in 2011. 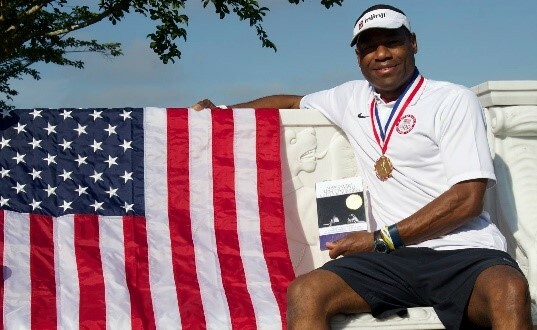 Karlton became America’s 1st & only 20-year Navy veteran with service-connected disabilities to make a historic collegiate track debut as a walk-on to the University of Tampa Team at age 45. 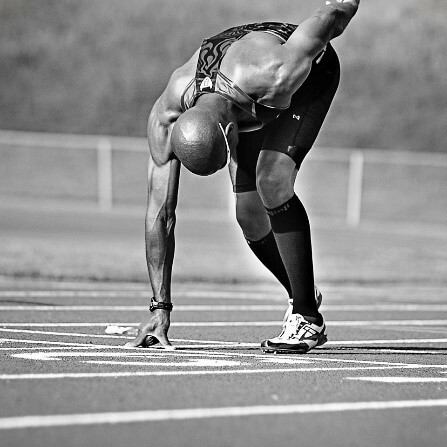 He went on at age 46 to win a USA Track & Field Silver Medal in the 800m. 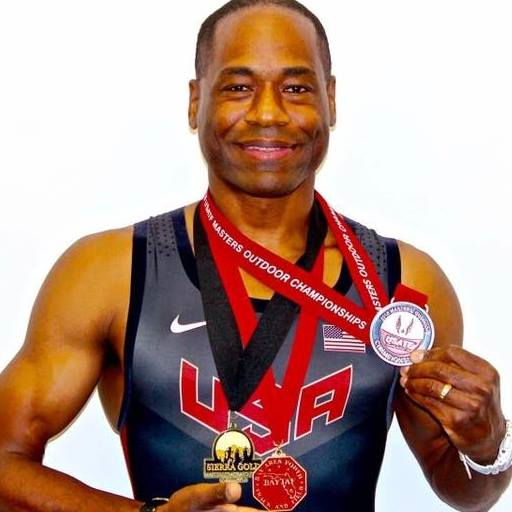 In 2016, this life-long-learner, added a master’s degree in Exercise and Nutrition Science to his numerous certifications and bachelor’s degree. He is a 2018 official certified member of the Men’s Health Fitness Council and a 2018 spokesperson for the National Fitness Hall of Fame. He and his wife LeTrease have been married 28+ years, their son Terrell and his wife Sarah gave them the Grandparent title with their daughter Alina in 2017. Now Karlton has the XTREME Dream of Running for Gold in the 2020 Tokyo Olympics!! He is thrilled to have XTREME Healthy Lifestyles as his official corporate sponsor and to serve as a member on their Sports Advisory Board. 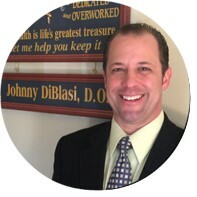 As a State Board Certified Physician, Dr. Johnny Di Blasi brings a wealth of knowledge and experiences to his advisory role as a member of IBIS’s Advisory Board. He is currently the Co-Founder and Medical Director at Lifestream Medical Spa and Wellness Center and Osteopathic Physician and Surgeon for My MD Solutions, LLC and Healthogenics, LLC . In his role he provides educational program implementation to all physician-partners, mid-level providers, wellness technicians, and other staff members. He participates in a peer-review study involving cardio-metabolic risk factors, endothelial dysfunction, and peripheral neuropathy. In his advisory role he provides consulting on weight management and wellness treatment protocols based on patient testing and laboratory results ordered and performed within the clinics. Prior to working with the clinics mentioned above, he was Osteopathic Resident at Rochester Regional Health System, and United Memorial Medical Center in Batavia, New York. He completed his Post-Graduate Year One in Osteopathic Family Medicine and worked at Continuity Clinic taking care of medical needs for the underserved population of outpatients. He has also served as Physician Liaison / Educator / Team Building Facilitator at Robert W. Dail Memorial Treatment Center, in Commerce, Georgia where he was an independent contractor assisting in program facilitation and management of staff and provided education about osteopathic principles and musculoskeletal manipulation as it applies to treatment of Substance Use Disorder patients. As adjunct Instructor of Anatomy and Physiology at Athens Technical College, in Athens, GA, he taught and lectured to a diverse student population, ranging from nursing to pre-medical students in the Allied Health & Life Sciences Department of an accredited college in the State of Georgia. As a Student Osteopathic Physician he received honors in Orthopedic Surgery, Cardiothoracic Surgery, Nephrology, Internal Medicine/Ambulatory, Rural/Underserved Family Medicine, Emergency Medicine, Physical Medicine & Rehabilitation, Orthopedic Surgery/Sports Medicine, Family Medicine/OMM, Elective Neurosurgery, Obstetrics/Gynecology, Addiction Medicine/Substance Use Disorder Care, and Elective Neurology. He also served in our country military as Chief Hospital Corpsman in the United States Navy’s Health Services Collegiate Program. His role included being a Medical Officer Liaison, Physical Readiness Leader, Navy Recruiter in the Jacksonville District, Naval Special Warfare/Special Operations Recruiter/Motivator, Zone Fitness Leader, District Physical Screening Administrator (SEAL/SWCC/Diver/EOD),Command American Heart Association BLS Instructor, Surgical Technician/Sports Medicine/Ortho Tech Corpsman, Athletic Trainer/Command Fitness Program Administrator, Inspector/Instructor Staff Corpsman/Cold Weather Training Unit, and Assault Craft Unit. Xtreme Healthy Lifestyles™ believes that in order to be the best at delivering some of the richest coffee produced in the world that will transport your taste buds from the lush and exotic landscapes to the convenience of your coffee maker. We knew we needed to go with the ultimate roasting process, and immediately reached out to long-time friend and business partner, Kristy Virtue. This partnership brings Healthy Coffee Lifestyles’™ 30-years of experience in the coffee industry to the table with 20-years as a specialty coffee roaster to the heart of Xtreme Healthy Lifestyles. Master Roaster and President, Kristy Virtue utilizes a specialized State-of-the-Art infrared roasting technology that ensures an even perfect roast every time delivering you a once in a lifetime coffee experience. Healthy Coffee Lifestyles™ brings 30+ years of experience in the coffee industry to the table with 20 years as a specialty coffee roaster. 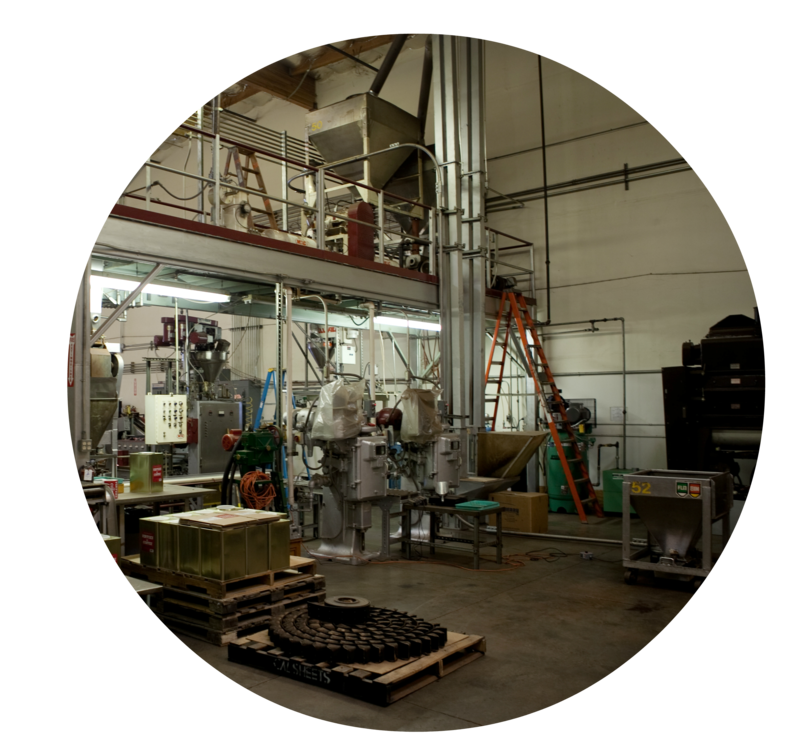 Healthy Coffee Lifestyles™ established itself as a specialty roaster in 1989 when we opened operations in Livermore, California. Since 1989, Healthy Coffee Lifestyles™ has been enjoyed by coffee lovers in restaurants, cafes, espresso bars, and commercial venues alike. We have combined our expertise and knowledge in both the commercial and gourmet segments of the coffee business. 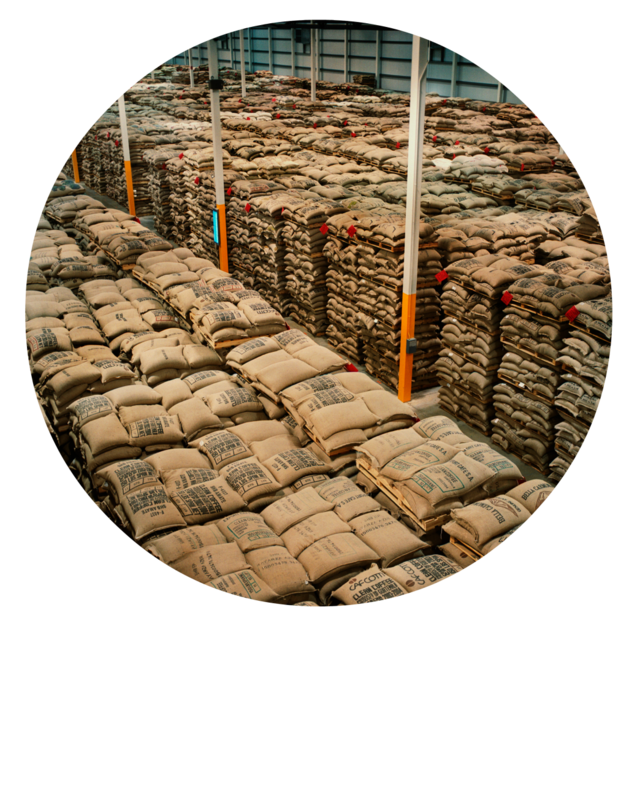 We have packed/private labeled coffee for some of the food industry's largest accounts like Nestlé, Sara Lee, as well as large corporate accounts like Disneyland and Disney World, Target, Baskin Robbins, and Winchell's Donuts. We believe coffee is an art, not a process. In order to be the best, we focus on doing one thing well -- coffee. Healthy Coffee Lifestyles™ utilizes state-of-the-art infrared roasters that evenly roast every bean locking in the flavor and aroma. You will find that our coffees are never bitter, never burnt. Healthy Coffee Lifestyles™ consistently produces smooth, low acidic and full flavor coffees for every coffee profile every time. Week in and week out, Healthy Coffee Lifestyles™ provides the consumer with the best tasting and freshest coffee available. With an artisan approach to roasting coffee, our Roast master and President, Kristy Virtue and Michael Babcock, CEO, takes great pride in crafting some of the best coffee produced in the world. Starting with the best coffee beans money can buy, blending the coffees using unique recipes, and artisan roasting with small batches brings out the special characteristics of each bean, Healthy Coffee Lifestyles™ packages and ships coffee immediately to ensure the freshest product available. We work with one of the world's largest coffee importers to bring our customers the exact coffees and pricing required to meet their needs. Healthy Coffee Lifestyles™ has a strong product portfolio to help meet your customer's needs and the coffee expertise to help you grow your coffee segment.